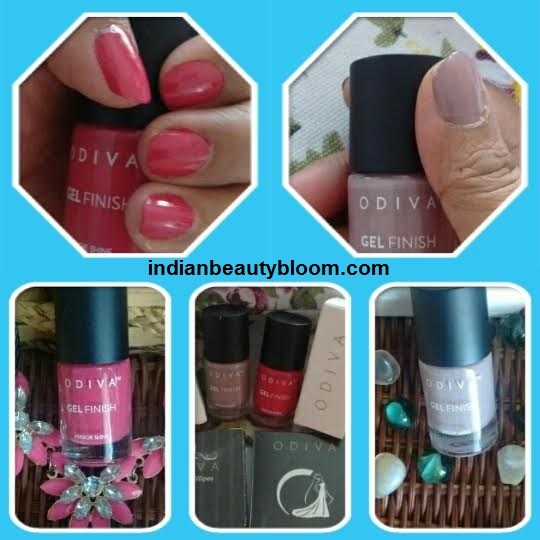 Today I am going to introduce one more brand to my readers & friends , it’s Odiva . 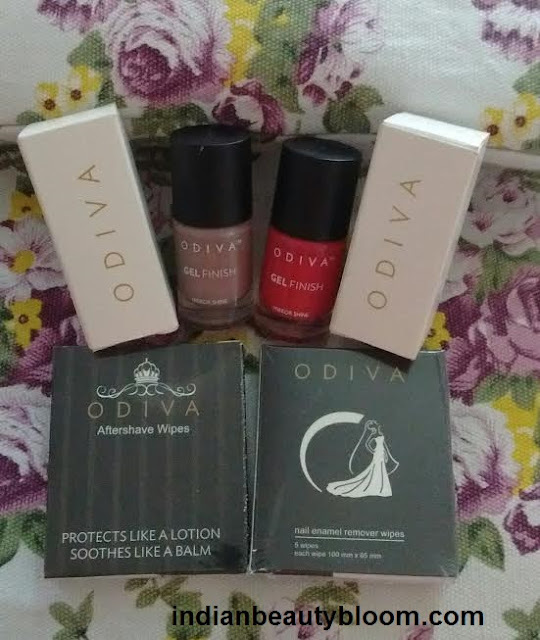 Odiva is a brand which offers some great products like Gel Finish Nail Polish , Nail polish remover wipes , After shave wipes etc . They make their products from safe ingredients which are free from chemicals and are of good quality . Few days back I got a chance to try and review some of their products and so I am sharing my experience with Odiva products in this post . Price Rs 300 for 11 ml . Shelf Life 3 years . This is an Ash color nail paint , this is good for daily wear , looks Sober & Sophisticated . This is a type of wipe to remove nail paint . This is an Excellent Product from this brand . For me it’s a new product as earlier I used to remove Nail Paints with cotton balls & nail polish removers from some brand . 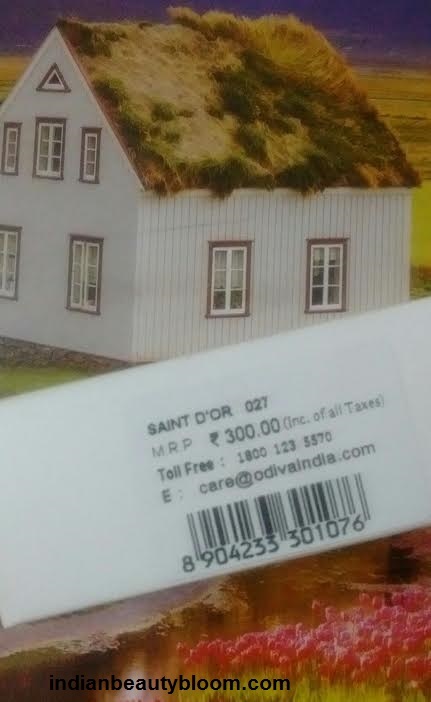 This is the first time I am using such product and its very good and useful . One can easily remove nail paints using these wipes without any fuss . Each wipe is individually packed in a sachet and its travel friendly . The best part is it’s Acetone Free (that means no harsh chemicals in it ) . Shelf life – 18 months . 1. 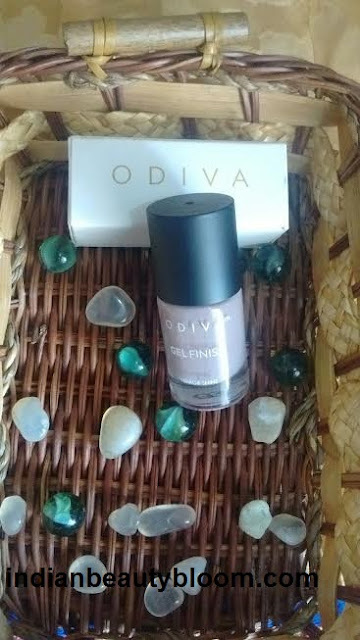 Odiva Products are free from chemicals like Parabens , Acetone , Camphor etc . 2. No strong smell . 3. 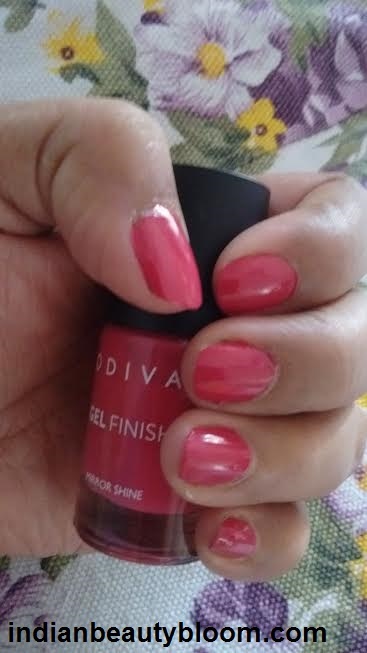 Nail Polish gives a Smooth Gel finish look. 4. 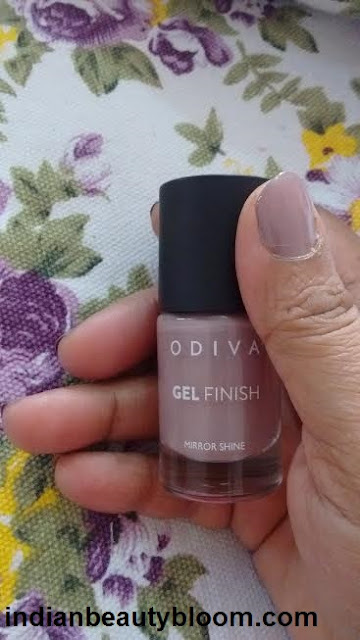 Nail Polish dries quickly , I have used nail polish from other brands but I found this one better than others as it dries quickly with in few minutes . 5.Nail Polish has good quality brush . 6. The nail polish does not chips unevenly . 7.The Wipe is an excellent product using which one can remove nail paints easily . 1.Availability might be an issue as it’s available only on online stores . 2.Price may seem bit more than Nail Polish from other brands but it’s Okay if we consider the fact that they are chemical free and are of Excellent Quality . I loved it’s products both the Nail Paints & Nail Paint Remover Wipes . 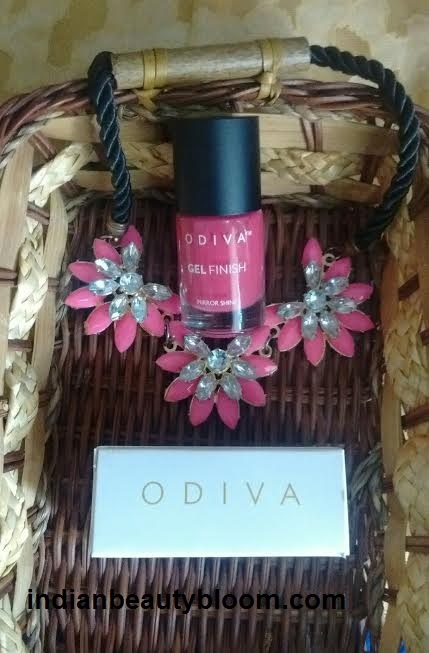 The nail paint gives a smooth glossy look which seems too gorgeous , no strong smell , no chapping makes it a Must Try One . 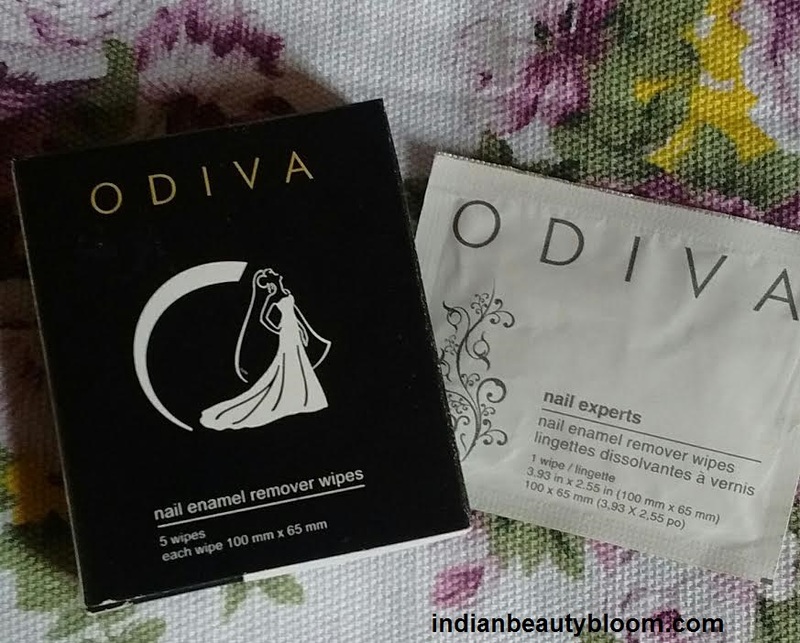 And the nail paint wipes is a useful product which has a travel friendly pack . One can buy these products from online store like Nykaa.com , Flipkart.com , Amazon.in or check their facebook page .